This is the final movement of a Concerto in D minor for Flute, Violin, Bassoon and Continuo, which Vivaldi probably composed in the 1720s. 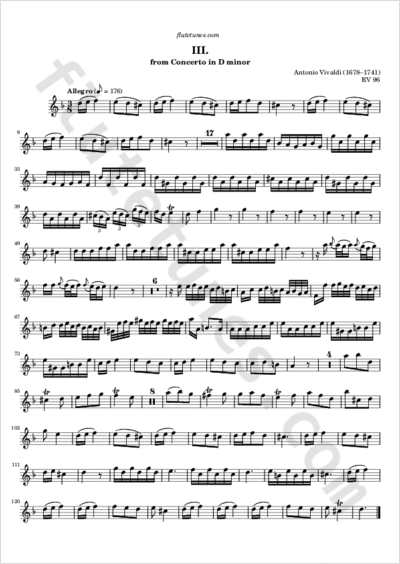 It can also be played as a flute duet, with the second flute playing the violin part (right hand of the piano arrangement). Thanks to Pavlína for suggesting this piece!